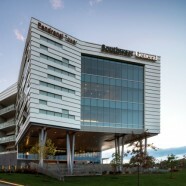 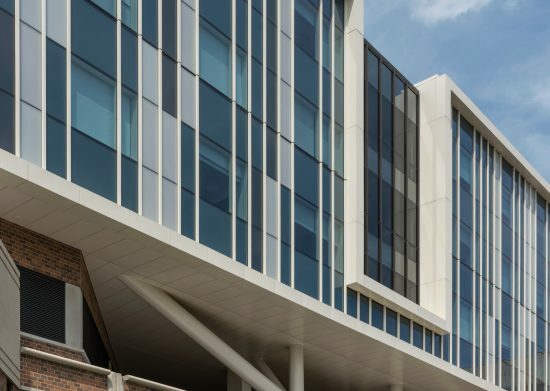 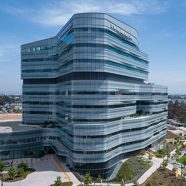 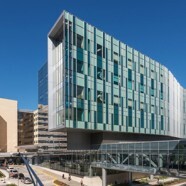 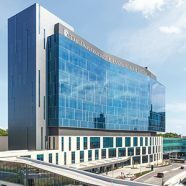 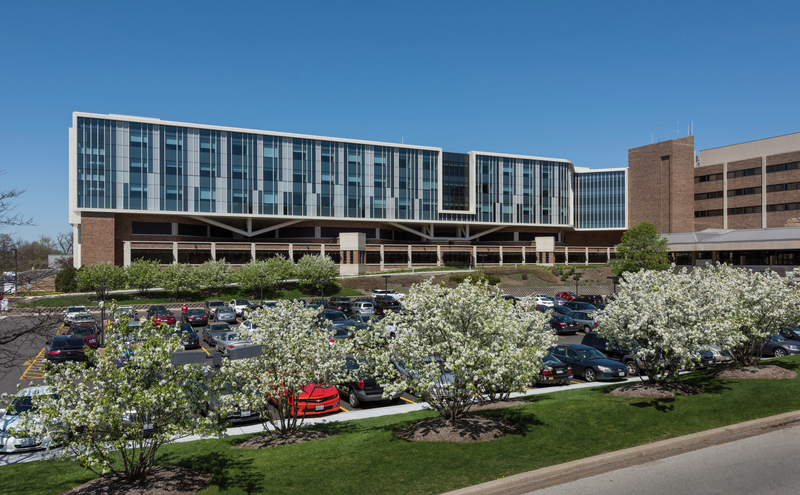 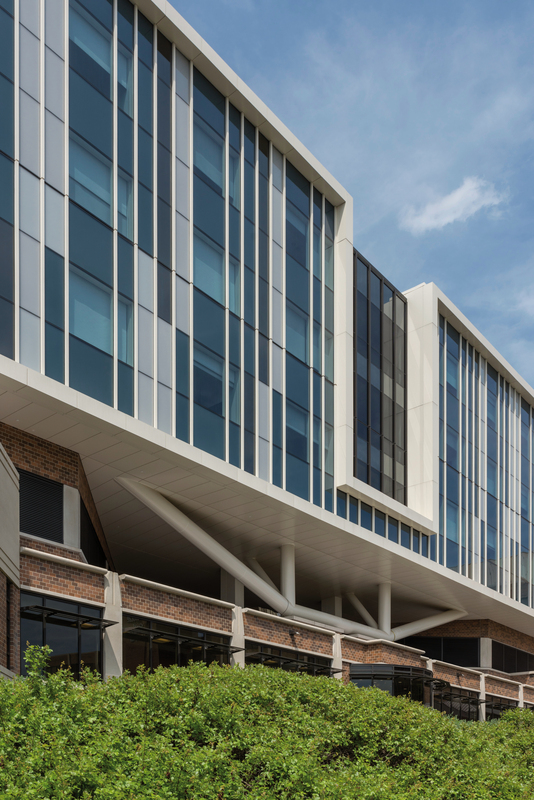 Advocate Good Samaritan Hospital was looking to go beyond just expanding its West Pavilion; the health system aspired to develop a best-in-class facility that prioritized the patient experience while promoting operational efficiencies. 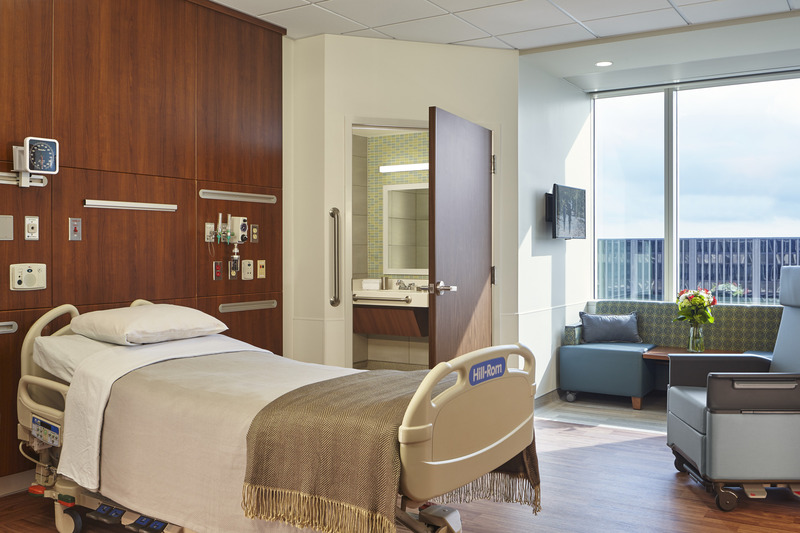 Constructed atop the current intensive care unit (ICU) and designed within the existing footprint, the new private room bed tower includes three floors of inpatient nursing units, conveniently linking back to the remainder of the hospital. 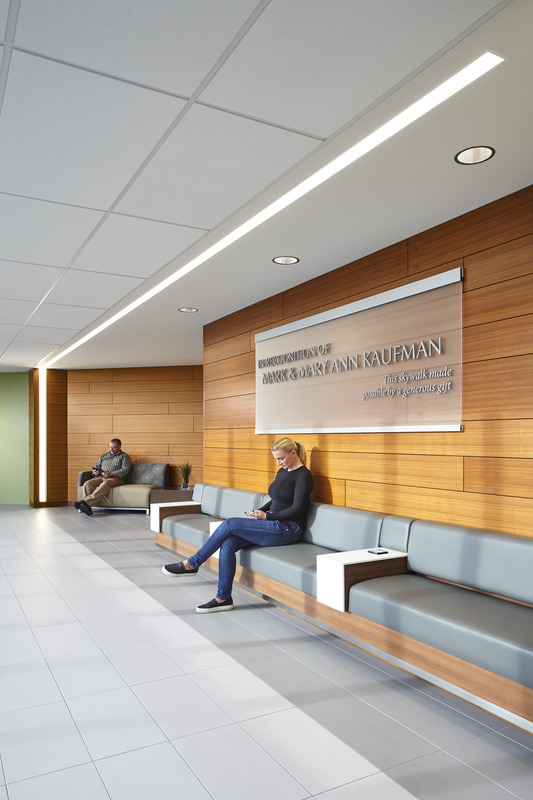 The newly expanded West Pavilion is the final step in Advocate Good Samaritan’s campus-wide initiative to convert all inpatient unit beds to private rooms, creating a patient-focused environment that respects the dignity of both patients and their families. 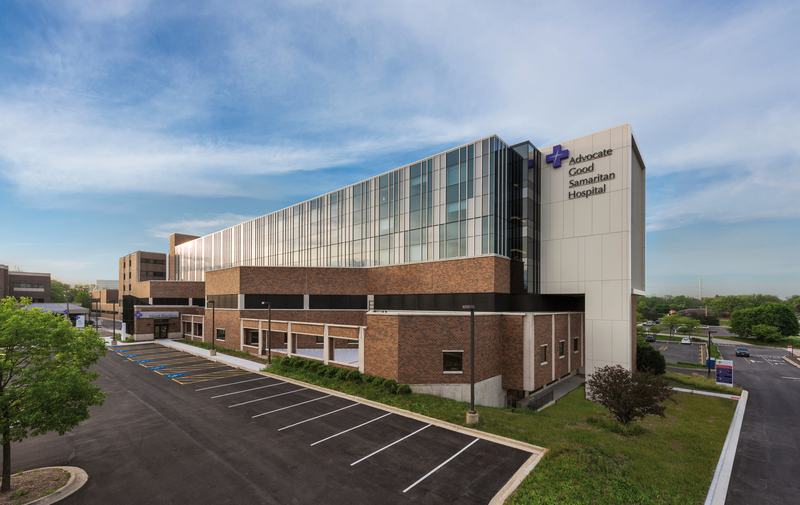 Designed with an optimally efficient floorplan, the new three story vertical expansion adds 96 private Medical/Surgical beds, including two progressive care units. 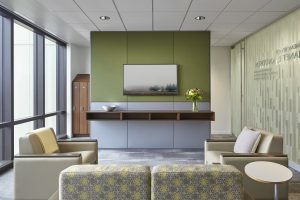 Natural light is incorporated throughout the unit to promote healing and wellness. 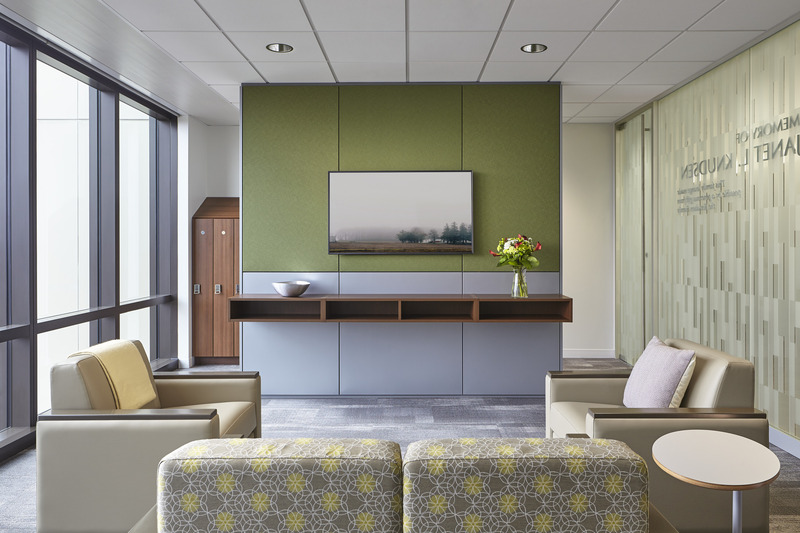 The spacious new patient rooms include pull-out couches that function as sleeper sofas to accommodate overnight stays for visitors and family members. Each patient room comes equipped with technology, including in-room monitors and access to health records, further elevating the patient experience. 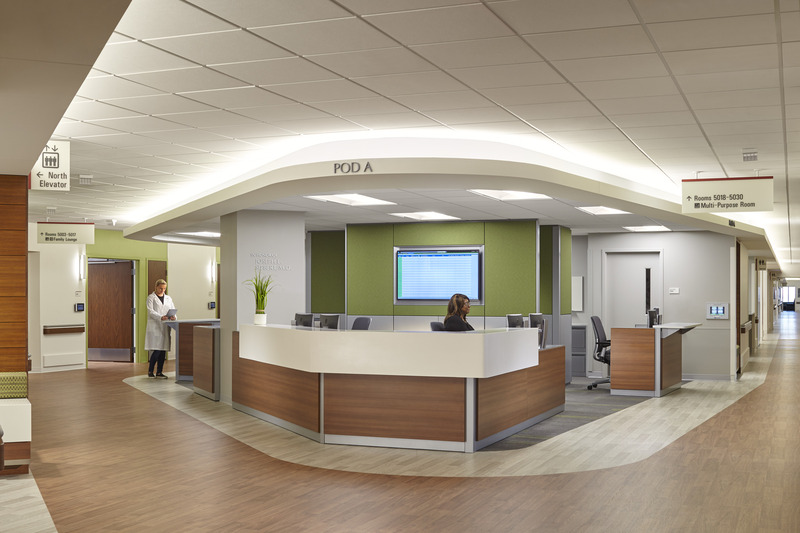 Custom pre-fabricated patient room components were developed and tested early on – significantly expediting the construction process and helping to ensure the much-needed expansion was delivered on time and on budget. 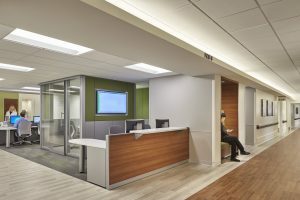 Within this high-performance, sustainable healing environment – which achieved LEED Silver Certification – both the patient and clinical areas are designed to be flexible to accommodate future growth and change.